Every historical episode is characterized by certain factors that function as a constant, such as time and space. These factors define its place in the evolution of the human community. The region between Bucegi and Piatra Craiului has sparked a series of historical episodes, from prehistoric days until current times, all due to one major geographical and historical factor: the Bran Gorge. The Bran Gorge, one of the most important trans-Carpathian passages, has had a dynamic history. Its story has been characterized by two major components: the trade routes of its crossroads, and the recurring military invasions that utilized them. A natural amphitheater, guarded from the East by the Bucegi Mountains and from the West by the Piatra Craiului Massive, the Bran Gorge offered, due to its concave space, a wide panorama both to Burzenland (Ţara Bârsei), and to the hills and valley of Moeciu. In the early Middle Ages, when all of Europe was in the process of a mass political and social reorganization, Transylvania was overwhelmed by waves of migration coming from the immense Asian steppes. After the formation of the Magyar state and its Christianization under King Stefan around the year 1003, the Magyar sovereignty adopted a policy of territorial expansion and extending its political influence over neighboring populations, including the Carpathian-Danubean area. During the reign of King Andrew II, the Magyar crown's influence began to trickle down to the South-Eastern gorge of Transylvania. This period briefly coincided, with the dwelling, on the other side of the Carpathians, of a migratory people called the Cumans. The Cumans' relentless invasions of the Transylvanian section of the Carpathians strongly preoccupied the Magyar sovereignty. King Andrew II, seeking security, became determined to formulate a defence plan. This, in turn, sparked the most controversial episode of Transylvanian history: the debate regarding the possible presence of the Teutonic Knights in the South-eastern region of Transylvania to ensure the enforcement of Magyar policies in the region. Unfortunately, to this very day, sufficient evidence has yet to be discovered corroborating the Knights' presence in Burzenland during the period between 1211–1225. If these crusaders were present in the area, there is no doubt that they would have exploited its geo-political advantages, as the Bran Gorge had become an strategic area essential to anyone wishing to gain military control over the gorge. Regardless of the presence of the Teutonic Knights in the South-Eastern region of Transylvania, however, the Magyar Sovereignty understood the importance of fortifying the Transylvanian borders. Coinciding with the beginning of the German migration into the intra-Carpathian territory, the Magyar Crown developed a vast network of fortifications. The need to construct such fortifications became imperative, for military purposes, especially in the southern regions of Transylvania. The period between the mid-14th century and the the mid-16th century, therefore, was the richest period of fortification construction in the history of Medieval Transylvania. Towards the end of the 14th century, the Magyar Sovereignty developed a more elaborate defence plan, which relied on interior fortresses in addition to those on the kingdom's borders. During the reign of Louis I of Anjou, the Magyar crown continued its expansionist policy in the Balkans. This was also the time that Walachia and Moldavia were cemented as formal political entities. The great military expectations arising out of these formations culminated in a series of battles between the Magyar King and Walachia. The Magyar King's military strategy heavily relied on the fortification of the gorges that allowed military access to Walachia. The ongoing conflicts and misunderstandings between King Louis I of Anjou and Walachia convinced the King to approve a plan for the construction of a fortress at Bran. Bran Fortress was built both for strategic and economic reasons. Its purpose was to intercept the road that leads to Transylvania, including the gorge, and to ensure the protection of the Magyar customs centre. At the time of Bran Fortress' establishment, trade through the Bran Gorge was prohibited. Instead, trade migrated upstream to Rufla Arbor (Rucăr). In order to receive aid for the construction of the Fortress, Louis I of Anjou promised the residents of Braşov that the customs centre would be moved to the new fortress they would build at Bran. In order to achieve his strategic aims, the Magyar King relied on the large Transylvanian cities (Braşov, Sibiu and Bistriţa) that he considered capable of counteracting the autonomous tendencies of Transylvania. He ordered the construction of fortresses in Tălmaciu (1370) and in Bran (1377) in order to form, alongside the Severin Fortress, a chain of defence alongside the southern border of Transylvania. In fact, his plan to build Bran Fortress dates as far back as 1364, according to recovered documents from that time. It is also important to mention one major historical factor that contributed to the Fortress' survival of such major historical turmoil. All the military conflicts that took place at the Bran Gorge were regional military confrontations, which were secondary in importance, and therefore involved only moderate use of military power. Each time a powerful army from the South (the Ottoman army, for example) organized a military campaign against some other Central European state, such as Hungary or Austria, a geographically favorable road crossing the Balkan Peninsula from Serbia to Hungary was chosen in order to avoid the Carpathian gorges, which were known to be very problematic, even for a large army such as that of the Ottoman Empire. The Magyar King's strategic intention to erect Bran Fortress coincided with the will of the residents of Braşov, who were eager to solidify their geographic and economic position in the area by keeping an eye on the trade route crossing the gorge. On the November 19, 1377, Bran Fortress' “birth certificate” was issued. The Fortress was described as a privilege granted to the town of Braşov by Louis I of Anjou from the kingdom of Zvolen (Slovakia). When the Fortress' construction was finished, it would become the property of the Magyar Sovereignty and was supervised by a Chatelaine, whom the King would appoint. It was the Chatelaine's duty to form a garrison, which included mercenaries, archers, and ballista men. For Braşov township's “efforts and expenses”, their rights over thirteen fairs in the Burzenland would be reinstituted, “as in ancient times”. The agreement both confirms the Braşov township's involvement in defending the borders and reflects their positive relationships with the Magyar Sovereignty. It is remarkable that, before the end of the reign of Louis I of Anjou (prior to his death in 1382), the construction of the Fortress had been completed. The swiftness of the Fortress' construction, as well as the Magyar King's special interest in the region, were the result of the complex political realities of the time. The ruler of Walachia, Vladislav Vlaicu engaged in a course of action, up until Vidin was conquered in 1368, which was targeted against the Magyar interests in the region. Their competing interests resulted, as expected, in an open battle between the two medieval states. According to some historians (such as Fotino), one of the battles took place at Bran. “As Louis (the Hungarian King) stooped on Vladislav (the Walachian ruler), a great battle was fought at Bran, with a victory for the Romanians”. Following the Romanian victory, Bran Fortress was granted ownership of the territory that included several villages of the Burzenland: Baciu, Cernatu, Satulung, Turcheş, Târlungeni, Zizin, Purcăreni, Crizbav, Apaţa, Zărneşti and Tohan (the last two only remained part of the territory until 1395). As the proprietors of the territory, the Bran Fortress administrators had the right to use its resources, including the woods, the waters, the hunting and fishing grounds, the wells and the common fields. As planned, the Fortress' location ensured that it dominated the Bran passage, thus controlling one of the most important entry routes to Transylvania, amplifying its military significance. The protection of the gorge was assured by the Fortress' garrison. In general, the Bran garrison was composed of mercenaries: the historian Ioan de Târnava mentions the “English brigades and ballista men”. Their number did not usually exceed 12–24 men, though in 1599, for example, there were 40 ballista men, and in 1658 there were 30 ballista men. Their primary mission was to block the enemy in front of the Fortress until help arrived from Râşnovand Braşov. The rapporteur of documentation was the nobleman Johannes de Schafeneck, a Chatelaine of the Landskron Fortress, located near Tălmaciu, which was erected in order to defend the Turnu Roşu gorge. Documents concerning the years 1395, 1398 and 1406 expressly show that Bran Fortress (and, Implicitly, the territory around it) was in possession of the Magyar King Sigismund of Luxemburg. The most obvious piece of evidence seems to be the presence of the Magyar King himself at Bran in 1395. The King allegedly used the fortress during the course of an invasion of Walachia, when he removed Vlad the Usurper, who was a contender to the country's throne, in opposition to Mircea the Old, who was an ally of Sigismund of Luxemburg. The occupation of the town Adrianople by the Turks in 1354 preceded the Ottoman Empire's occupation of the Balkan Peninsula, which, by the end of the 14th century, extended all the way up to the Danube. The imminent Ottoman menace threatening the residents to the north of the Danube cemented the materialization of a common interest between the region's Christian population. The Turks' first plundering mission in Transylvania in 1394, alongside the victory of the Walachian Voivode Mircea the Old in Rovine in 1395, once more encouraged strengthening the bond between the two neighbouring countries, Hungary and Walachia. The countries' rulers met at Braşov in the spring of 1395 (on March 7th) and established a Treaty of Alliance. The Treaty was, most likely, based on the vassalage principles specific to those times, which was based on the pyramid-structured relationships of the Medieval Period. It established the Magyar King, Sigismund of Luxemburg, as the Lord, and the ruler of Walachia, Mircea the Old, as the Vassal. The treaty also established the obligations of the two parties in case of an invasion by the Turks. It is very possible that this treaty was signed at a later date, during the siege of the medieval administration of Braşov, which was located behind the current “Aro Hotel.” The treaty also acknowledged the ruler of Walachia, its ownership over the lands across the Carpathians: the Severin, the Amlas, and the Făgăraş (Mzrcha voivoda Transalpinus dux de Fuguras et banus de Zeurine). After the signing of the Treaty of Braşov, some experts ascribe the ownership of Bran Fortress to the ruler Mircea the Old. Unfortunately, neither the document dated March 7, 1395, nor the document dated 1406, signed at Severin, contains any reference to a grant of this right to the Walachian ruler. Evidence of this can be found in the document issued in 1412 by the Voivode of Transylvania, Stibor of Stiboricz, which referred to the relocation of the customs centre, as the toll was originally collected at Törcz (in Braşov). On August 6, 1416, Bran was mentioned as the customs centre of Walachia in a document issued by the Walachian ruler, Mircea the Old, confirming the privileges granted by his predecessors to the Braşov merchants. It is also in this document that Bran is first referred to as “Turcu,” a name that was probably derived from the name of the river (Turcul) that crosses Bran. Another strong piece of evidence supporting the hypothesis that the fortress was in the hands of the Walachians can be found in the document issued by Sigismund of Luxemburg at Casovia on July 7, 1419, mentioning that Mircea the Old and his son, who were only granted the right to appoint the Chatelaines, displeased the King because the Chatelaines they appointed had committed various misdemeanors in their collection of the customs taxes and their regulation of the commodities brought to the customs centre by the residents of Braşov. Trouble had already ensued somewhat earlier, however, when the Romanian ruler nominated the provosts, with the King's consent, in 1412. The Consul of the Szekels, Mihail, actually removed the provosts from the Fortress' administrative structure at the beginning of 1419. Despite the fact that Bran Fortress was mentioned in 1421 among the possessions of the rulers of Walachia, in the documents issued by the ruler Radu Prasnaglava as well as in those issued by the ruler Dan II in 1422, it seems that after the death of Mircea the Old in 1418, Sigismund of Luxemburg enacted a series of defensive measures in the Fortress. These were necessitated by a time of political instability in Walachia that preceded the imminent Turkish attack. Aware of the importance of the Bran Gorge and of the limited capacity of the Walachian ruler to respond to the threat of war, Sigismund of Luxemburg revoked the control of Mircea the Old's immediate successor over Bran Fortress. It seems that, in 1427, the Magyar King stayed at Bran for a short period of time in order to personally check its fortifications, in response to the ever-increasing Ottoman menace. It was during this visit that authority over Bran Fortress was transferred to the Szekels. The special attention the Magyar sovereignty paid to this border crossing proved to be perfectly well-grounded. Only a short while later, in the summer of 1432, a massive expedition was organized to Walachia, in addition to a plundering mission in Burzenland. Both allegedly passed through the Bran Gorge. The Walachian ruler of that time, Alexandru Aldea, recognized the Turkish Sovereignty and even participated in the Ottomans' plunder of Burzenland. Soon thereafter, in 1436, the Turks went on yet another plundering mission in the area. The summer of 1438 (June–July) brought with it an Ottoman military campaign in Transylvania, a true campaign of conquest, in which the Turkish Sultan himself apparently participated. The Ottoman army entered Transylvania through Severin, crushing any local resistance it encountered. It proceeded through the Sebeşvalley and then plundered Medias and Sighişoara. Although the Ottoman army could not conquer Sibiu and Braşov, it devastated the villages of the Burzenland. Eventually, the Turks returned to Walachia through the Bran Gorge, bringing many slaves with them and loaded with loot. The campaign left deep scars on the residents of Braşov, and made them determined to strengthen the fortifications of the Fortress and of Bran Gorge, so that they might be able to resist to future invasions. This was done at their own expense, despite the fact that the fortress was not their property. The Voivode of Transylvania, Iancu of Hunedoara, defeated a division of the Ottoman army in 1441–1442 right at the walls of Bran Fortress. During his reign as Voivode, the position of Consul to the Szekels and that of Voivode of Transylvania were merged, and so Iancu held both these positions. Since one of the main duties of the Consul of the Szekels was to defend the eastern borders of the Transylvania Princedom, following the joinder of the positions, defending the eastern borders became Iancu of Hunedoara's duty. 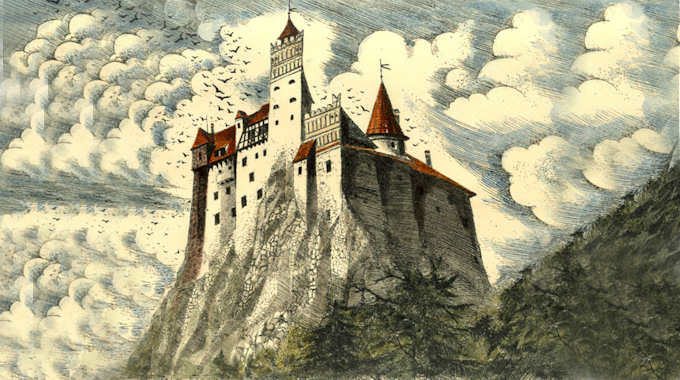 Iancu of Hunedoara correctly assessed the location of Bran Fortress as a strategic point in this area of Transylvania and paid it due attention. This era can be characterized as the strategic and military climax of Bran Fortress. During this period, the Chatelaines of Bran held, for short periods of time, the positions of Vice-Consul of the Szekels and even Voivode of Transylvania. During this period, fortification projects were undertaken on the North side of the Fortress, and the Eastern Tower was built, which contained a section of the old gallery. In 1448, as Regent of Hungary, Iancu of Hunedoara appointed Nicolaus of Bizere as Chatelaine of Bran Fortress for a period of 10 years. He is said to have been a Romanian nobleman from Banat, known as Nicolae of Bizere. The outstanding figure of the Walachian ruler Vlad Ţepeş (Vlad the Impaler), son of Vlad Dracul, does not seem, however, to have had a significant role in the history of Bran Fortress. The connection between Vlad the Impaler and the Fortress was not made until much later, and it has very little to do with the historical deeds of the Walachian ruler. It relies, rather, on his lifestyle, which history has consistently wrapped in mystery and legend. The only verifiable facts about this connection are the indirect result of Vlad the Impaler's foreign policy endeavours, to which the relationships with Transylvania and Hungary are especially important. From the beginning of his first reign in 1448, Vlad the Impaler came into conflict with the merchants of Braşov, as he attested in his letter to them, dated October 31, 1448, which was delivered through Bran. This conflict was to last for the entire period of his reign and, following his death, its emanations would rise to massive proportions. The misunderstandings were partially due to the protectionist economic regime imposed by Vlad the Impaler. 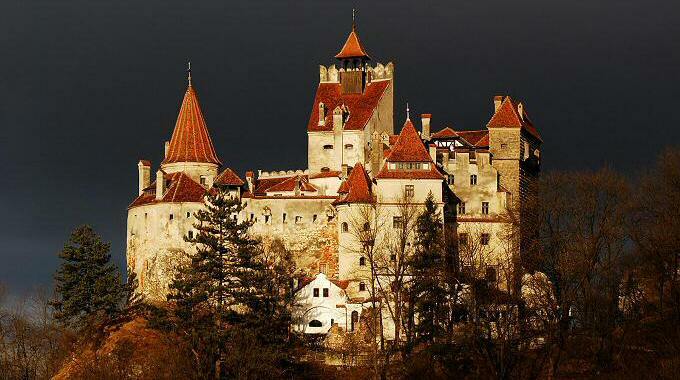 The victims of this regime were the merchants of Transylvania, particularly those of Braşov. The misunderstandings were also the result of the Braşov residents' hostile approach towards the Walachian ruler, which manifested in a permanent policy of supporting various other contenders to the throne of the Walachia. In 1460, Vlad the Impaler penetrated the Burzenland through the Bran Gorge, “attacking villages, citadels, [and] towns,” setting fire to crops and impaling prisoners next to the Saint Jacob Chapel of Braşov. During the 1460 raid, the Walachian ruler finally succeeded in defeating the troops of a rival contender, Dan III. Following this victory, a new peace treaty was signed between Vlad the Impaler and the residents of Braşov. In the autumn of 1462, the Turkish menace began to be felt more viscerally when Vlad the Impaler, alongside a section of his army, had to withdraw back to Transylvania, towards Braşov, through the Bran Gorge. In Braşov, Vlad met with the Magyar King Matei Corvin. The meeting failed to result in an alliance treaty, however. Shortly after, according to the Italian scholar Antonio Bonfini (the official historian of the Magyar King), the relationships between the two rulers deteriorated, though the reasons remain unknown. Vlad the Impaler was then arrested at the order of Matei Corvin. It is likely that the King's decision was based on defamatory letters about Vlad the Impaler, sent to the Magyar King by the residents of Braşov. In these letters, the Walachian ruler was accused of having sided with the Turks. In 1476, after fourteen years of imprisonment, both at Visegrad and Pesta, Vlad the Impaler was set free at the insistence of Stefan the Great, ruler of Moldavia. With Transylvanian and Moldavian support, Vlad the Impaler reached Walachia, once more through the Bran Gorge, determined to reclaim his throne. He succeeded following a battle near Bucharest, but he did not enjoy a lengthy reign, as shortly after being reinstated he died in a confrontation with another contender to the Walachian throne. While Bran Fortress was under the authority of the Walachian Voivode, the Chatelaines engaged in many abuses of power, particularly when it came to the regulation of commodities. These abuses directly affected the merchants of Braşov, but their numerous complaints failed to achieve their intended result. In 1458, the situation got so desperate that the residents of Braşov began taking radical steps, forcefully taking over the Fortress and locking up the Chatelaine. Two years later, in 1460, the Magyar King Matei Corvin ordered the town of Braşov, according to documents recovered from that time, to deliver a supply of food to the royal fortresses of Bran, Piatra Craiului (Kyralkew), and Hălchiu, amounting to 100 florins. In 1476, according to a document drafted by the Voivode of Transylvania, Ioan Pongrács of Dindeleag, addressed to the residents of Braşov and asking for their help in the renovation of Bran Fortress, Bran had temporary lost its appendices (the domain). Income, therefore, was limited to the fees collected from the commercial traffic coming through the gorge. In 1479, the Voivode of Transylvania, Petru Geréb of Vingard demanded of the residents of Braşov, on two occasions, to deliver supplies of food for the Bran Fortress garrison. In another document from 1483, the town of Braşov was ordered to deliver ten horsemen to Bran Fortress, who was needed in order to protect the guard and act as couriers. The relationships between the Chatelaines and the residents of Braşov deteriorated once more in 1485, when the latter exerted pressure to get the Chatelaine dismissed. The perpetual abuses of the Chatelaines' power were correlated by the endless claims filed by the Transylvanian Voivodes regarding Braşov's contribution to the maintenance of Bran Fortress. For the residents of Braşov, these were an ongoing source of increased dissatisfaction. The year 1486 marked the first time that a plan was prepared including Bran Fortress in the domain of Braşov. This plan would have offered a solution to the tensions that had accumulated in the area, especially because it would have highlighted the interdependence of the development of the town of Braşov and the quantity of commercial traffic through the Bran Gorge. The plan failed, however, due to a prejudice of that time that only the King's noblemen should be appointed Chatelaines. The Fortress' dependence on the town of Braşov was, nevertheless, constantly increasing. In 1497, an initiative by Braşov senators Bartholomeus Schunckebunck and Petrus Goldschmid aimed at resolving the issue was forwarded to the royal court and became quite influential. The initiative, as well as the internal situation, which was unfavourable to the Magyar King, Wladyslaw II Jagiello as it was coming close emptying the royal vault, made Braşov determined to take charge of Bran Fortress and its domain for ten years, in exchange for a loan in the amount of 1000 florins. The residents of Braşov would maintain the fortress in an optimal condition, guarding it and fortifying it at their own expense. If, after ten years, the King required the Fortress, he would have to return the loan to the residents of Braşov. Otherwise, the fortress would remain “forever” in the hands of the residents of Braşov (perpetuo duximus dandum et annectendum). The agreement was sanctioned with a Treaty, issued on January 1, 1498 by the Magyar King. On December 4, 1498, the Magyar King renewed the Treaty, with several amendments. For an additional amount of 2,000 florins, the King agreed to place the Fortress in the hands of the residents of Braşov, this time using more precise language, for a period of 10 years. If the King failed to return the loan, the Fortress would remain in Braşov's possession. In 1500, the Magyar King granted the income earned from the salt taxes of Feldioara to the residents of Braşov, and asked the Voivode of Transylvania to stop exerting jurisdiction over the peasants belonging to the domain of Bran. When the ten-year term expired on January 2, 1508, the Magyar King, Wladyslaw II Jagiello, not only did not pay back the loan, but he also requested another loan in the amount of 2,000 florins, pledging the Fortress to Braşov for another ten years. After some time, the King requested an additional 1,300 florins, so that his total debt to the town of Braşov reached the amount of 6,300 florins by 1513. According to documents from that time, as of 1504, the town of Braşov was authorized to appoint the Chatelaines of Bran Fortress. In 1508, the Magyar King excluded Bran Fortress from the jurisdiction of the Transylvanian Voivode for 25 years, which was the aggregate length of the repeated pledges to the Fortress. After the 25 year period expired, the King failed to return the loans to the residents of Braşov, thereby permanently granting the township ownership of Bran. Following the town of Braşov's management of Bran Fortress, Bran began to flourish. The Fortress' income increased considerably. This was the result of several factors: the millers' income, income earned from the sale of pepper, income from the beverages sold at the fortress, income obtained from the customs centre of the Fortress (iadula castri), income from penalties given by the judges of Braşov and its district, income from the tax for sheep, income from the district's gypsies, income from flax, the earnings gained from the domain's beehives, the tax for swine, the earnings from rent on the domain, the vigesimators' charge for the Fortress' servants, on top of the income earned from the salt taxes of Feldioara. This income allowed the residents to pursue some construction and fortification projects in the Fortress. The eastern tower was doubled in size using boscage parchment (lining material), the inner loggia was arranged, and the enclosure wall was elevated, thus creating two rows of ramparts: lower ones for the artillery, and upper ones, on the guard line, for light weaponry. The central tower, the dungeon, and the double-armed columns were also erected during the renovation, and the shingles that had formerly covered the roofs were replaced by tiles. The Fortress' role changed substantially during this period; its military role was replaced by administrative and political roles. These transformations were also motivated by military interests. For the armies of that time, the imposing tower, as the main artillery weapon, almost made futile the fortifications that had been built to resist sieges. The political climate in South-Eastern Europe was marked by strong anxieties at the beginning of the 16th century. The Ottoman Empire was at the height of its power as well as its expansion; the Polish and Hungarian crowns were in severe decline; and the strengthening roles of Russia and Austria were becoming more and more obvious. These geo-political changes also affected the Romanian countries, especially the South-Eastern area of Transylvania and Bran Fortress. The three provinces had to join forces in order to cope with the new situation. Following several conflicts with the Turks in the beginning of 1522, the Walachian ruler Radu of Afumaţi was forced to withdraw to Transylvania through the Bran Gorge in order to request the aid of the Transylvanian Voivode. In the summer of that year, Radu of Afumaţi, alongside the troops of Ioan Zapolya, crossed the border to Walachia through Bran, achieving a victory against the Ottoman troops that rested there. The success was short-lived, however, as in a subsequent confrontations the Walachian ruler was again forced to withdraw into Transylvania. In the autumn of 1522 (October–November), the Transylvanian Voivode himself, Ioan Zapolya accompanied Radu of Afumaţi through the Bran Gorge in a military campaign to banish the Turks from Walachia. The campaign ended with the conclusive victory, at Rucăr, of the Transylvanian-Walachian troops. The year 1526 brought with it a political climate that was even more stressful for South-Eastern Europe. The Magyars were defeated at Mohacs, and the Turks occupied a significant portion of Hungary. The climate exacerbated the battle for the throne of Hungary between the Voivode of Transylvania, Ioan Zapolya, and Ferdinand of Habsburg, the Archduke of Austria. The Romanian Countries, and therefore Bran Gorge, played a significant role in this conflict. In 1529, Moise Vodă, a Walachian ruler and alleged partisan of Ferdinand, crossed the Bran Gorge and put Bran Fortress under siege for several weeks, to no avail. During that period, the fortress was guarded by the garrison led by the Chatelaine Ioan Hoch of Braşov. In 1530, a contender to the throne of Walachia, Vlad the Drowned, whom the Turks supported, entered the Burzenland at Bran with his troops and put the town of Braşov under siege, to no avail. Here, we must keep in mind that during the entire period of conflict between Ioan Zapolya and Ferdinand of Habsburg, until Ioan Zapolya's final victory, Bran Fortress played an important role by perpetually oscillating between giving their support to one or the other of the contenders to the throne of Hungary, depending on the interests of the residents of Braşov. Some troops wishing to pass through the Bran Gorge received the Chatelaine's consent, while others encountered a zealous resistance. The end of the battle for the succession to the Hungarian throne did not mean the stabilization of the political system in Transylvania. Interference in the interests of the province by both the Turks and the Austrians created new military conflicts, to which Bran Fortress was also exposed. In 1541, the troops of the Walachian ruler Radu Paisie received the consent of the residents of Braşov to pass through Bran, in the course of the Ruler's attempt to punish Stefan Mailath, who had turned against Ioan Zapolya. In 1547, the Walachian ruler, Mircea Ciobanu, passed through the Bran Gorge in a campaign to punish the Walachian boyars who rebelled against him and then sought refuge in Braşov. In 1550, Mircea Ciobanu repeated this attempt, passing through the Bran Gorge. This time, however, the campaign was ordered by the Turk Sultan against an enemy of Ioan Zapolya. In 1556, a Moldavian-Walachian expedition in which the Walachian ruler Pătraşcu Vodă participated entered Transylvania through Bran, intending to reseat Prince Ioan Sigismund in Cluj. As of the second half of the 16th century, Transylvania became increasingly interesting for the papacy, as the ideas of religious reform were spreading through the region. The Catholic Church sent several diplomatic missions to the Cluj Court in an effort to gather information on its economic and military resources, as well as on the political atmosphere of the province. One of the papacy's representatives was the Italian Captain Giovanni-Andrea Gromo, born in Bergamo, who stopped at the court of the Transylvanian Prince Ioan Sigismund in 1564. In his discussion of the Transylvanian fortification system, Giovanni-Andrea Gromo also described Bran Fortress: “a very strong castle sitting on a cliff at a great height, in the middle of a narrow valley leading to Walachia, at the border of Moldavia, [The author made a mistake here, as the border with Moldavia is much further to the East] and is separated from two other mountains by very narrow gorges, inaccessible due to their sharp walls and the dense forest. This castle is called Terschio (Bran), is very well guarded, and is always equipped with everything one would need to ensure a strong defence by the town council of Braşov.” In his testimonies, the author made an additional statement, which is commonly regarded as an exaggeration because it lacks sufficient evidence: he stated that there was “golden gravel” in the river flowing near the Fortress. On July 15, 1575, as mentioned in another document, Ioannes Fux was sent to Bran Fortress on a mission to fortify and guard the Gorge. According to the allodial expenditure registry, he was paid 1 florin and 25 cents. This registry also contains an inventory of the weapons at Bran Fortress in 1577: 22 gun-flints on pikes, long spears, and halberds. This inventory clearly reflects the small number of defenders in the Fortress, once again proving the impact of Bran Fortress' location on its historical significance: The Fortress' power was due to its geographical position and its fortifications, rather than the size of its garrison. In the autumn of 1594, the provost of Făgăraş, Mihai Hovarth, passed by Bran with a military unit to aid Mihai the Brave in his conflict with the Turks on behalf of the Transylvanian Prince Sigismund Bathory. On December 14, 1596, according to Chatelaine Dominicus Rosenauer's records of Bran's expenses, the Walachian Voivode Mihai the Brave and his wife, Lady Stanca, spent some time at Bran. The Walachian Voivode crossed the Bran Gorge in his trip to Alba Iulia in December. It seems, however, that his wife remained at Bran Fortress to wait for him. In 1608, Gabriel Bathory occupied the throne of the Transylvanian Principality. Bathory tried to restore authority and centralize power by limiting the rights and freedoms of the German townships. Since the residents of Braşov had developed some firm political and economic authority in the Bran area, ownership of the Fortress boosted their strategic position. For this reason, the Prince brought up the Braşov residents' rights to Bran Fortress and its domain, summoning them first before the court in Sighişoara and then before the Transylvanian Councils at Cluj. The residents of Braşov were ordered to produce their title for the legal ownership of Bran. During the following period, a series of conflicts over regional political influence took place between Prince Gabriel Bathory and the Walachian ruler Radu Şerban. In the beginning of year 1611, Prince Bathory crossed the Bran Gorge to Walachia with a powerful army, and Radu Şerban was forced to seek refuge in Moldova. In the summer of the same year, having reorganized his army, the Walachian ruler passed through the Tătarului Gorge to Transylvania and defeated Gabriel Bathory's army right at the walls of Braşov. After the victory, the Voivode Radu Şerban returned to Walachia through Bran without encountering any resistance. In the spring of 1612, as a gesture against the people of Braşov, who supported the Walachian ruler, Prince Bathory entered the fortresses of Codlea and Râşnov and forced the Chatelaines Johann Raab and David Horvath to surrender the fortresses without resistance. The occupation of Bran Fortress was severely detrimental to the residents of Braşov, both economically, due to their inability to collect taxes from the gorge's commercial traffic, and politically, as communication with the Walachian ruler had been cut off, and he was no longer able to send support to Braşov. In 1613, the residents of Braşov regained possession of the Fortress after reaching an agreement with Gabriel Bathory. The hazardous actions of the Prince brought many enemies upon him, including some from the sovereign power: the Ottoman Empire. Thus, in 1613, Gabriel Bethlen was installed as Prince of Transylvania with Turkish support. Shortly thereafter, a military conflict that lasted almost two years ensued between the two rivals. In October of 1613 the Turkish troops, led by Ali Pasha Maghiaroglu, began a campaign against Gabriel Bathory. During the campaign, the Turkish leader asked the judge of Braşov, Hanisch Drut, to order to the “chieftain of Bran” to use the Fortress' cannons to prevent the “Tartar sultan” from passing through. Apparently he had been summoned to help Gabriel Bathory. Ali Pasha Maghiaroglu also made orders directly to the Bran Chatelaine, threatening him that if he didn't comply “no good shall be bestowed” on him. Bathory was finally defeated in 1615, when he died on the battlefield. After his inauguration, Prince Gabriel Bethlen ordered that all items belonging to the royal treasury throughout the country be inspected. In 1615, during the course of this inspection, the residents of Braşov were summoned once more to the Prince's court to negotiate their ownership of Bran Fortress. The negotiations reached a dead end and no progress was made for approximately ten years. Finally, in the autumn of 1625, Gabriel Bethlen agreed to allow the residents of Braşov to maintain their ownership of Bran Fortress and its domain, along with the royal dividends (regalia).His agreement, however, was not without cost for the residents of Braşov. On November 9, 1625, the two parties signed a treaty that imposed heavy conditions on the residents of Braşov, among which was the loss of military control over the Fortress, in addition to a steep tax. Despite these unfavourable conditions, the gorge was such a significant source of income for the town at that time that the residents of Braşov had no choice but to accept Bethlen's terms. The residents of Braşov must appoint a Chatelaine of Magyar origin. The Chatelaine must swear allegiance to the Prince, his successors, the country, and the citadel of Braşov. The oath must follow a specific formula, determined by the Prince. The Prince may maintain a garrison in Bran Fortress as needed. The residents of Braşov are obligated to restore and fortify the castle according to the Prince's orders. All entryways and roads around the castle must remain closed except for the King's road and the Paraho path. The residents of Braşov must, permanently and irrevocably, transfer ownership of the properties belonging to the following townships to Făgăraş Fortress: Părău, Grid, Perşani, Holbav, and Ţânţari (Dumbrăviţa). The township of Şercaiashall become property of the Prince. The residents of Braşov must make a payment of 15,000 florins to the Prince. 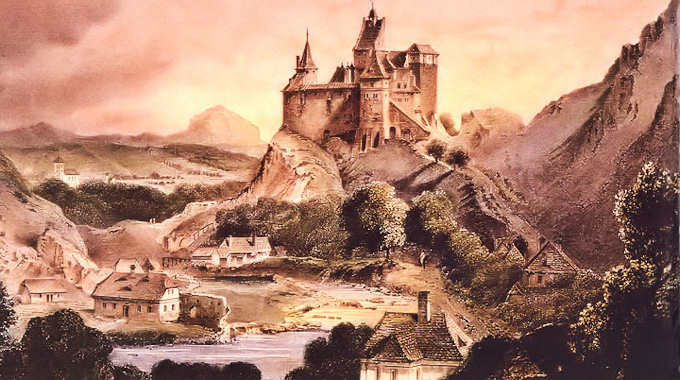 The Transylvanian Prince Gabriel Bethlen was aware of the strategic importance of Bran Fortress, which was reinforced throughout his confrontations with Gabriel Bathory. From 1622–1625, the Prince conducted a series of renovations in the Castle. The gate tower was rebuilt, along with the dungeon, which was refurbished in the style of the Renaissance. The main tower was embellished with double semi-circular arches, topped by a “Polish-Lombard Attic crown.” It was also, most likely, during this renovation that the progressive ramparts were added to the dungeon and to the front of the tower building (on the North-West side of the Castle). It should also be mentioned that, whereas until the end of the 16th century and the beginning of the 17th century Bran was referred to as a “Fortress,” during this period it began to be referred to as a “Castle”. It took nearly 150 years for the residents of Braşov to regain their rights over the Castle, this time for good. On April 24, 1651, the Transylvanian Prince Gheorghe Rákóczy II signed a treaty donating the Castle to the town of Braşov. The treaty included the same provisions as the previous one, signed in 1625, as well as some significant additions. 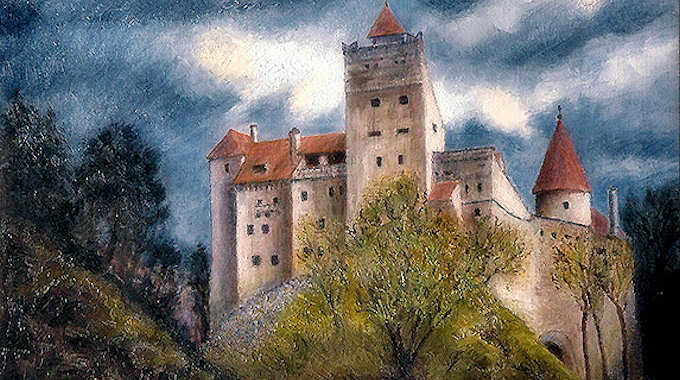 This time, the town of Braşov would receive a guarantee that Bran Castle and its domain would remain in their possession. The Treaty was signed by Prince Gheorghe Rákóczy II and the residents of Braşov, andwas later reaffirmed by the Transylvanian authorities, as had been decided (on February 12, 1651), in the Transylvanian legal code: Approbatae constitutiones regni Transilvaniae, title 82, article I. The Ottomans' increasing dominance over the Romanian States and their desire to transform them into vassals resulted in the creation of an anti-Ottoman coalition among the Romanian States, which was defeated in 1659. Following this defeat, Bran Fortress was occupied by the troops of Makes Mihaly, a general of Gheorghe Rákóczy II. In the beginning of the year 1660, after renewed negotiations, the Fortress and the rights to collect the customs taxes were returned to the residents of Braşov, provided that they remain faithful to the Prince. At the end of the 17th century, after the Turks suffered a series of defeats, first in their siege of Vienna (1683) and then in Zenta (1687), Transylvania became part of the Habsburg Empire. In the “Leopoldine Diploma,” signed in 1691, all the rights granted by the Transylvanian Princes were acknowledged, as well as the old laws of the country, its old administrative and judicial establishments. The Germans and Szekels were also allowed to keep the rights they had previously been granted. 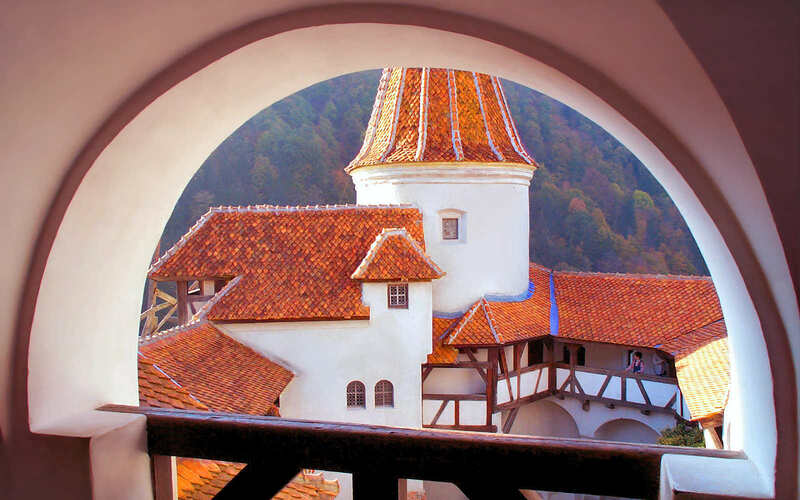 The town of Braşov continued to own Bran Castle and its domain, honouring the Treaty of 1651. The economic policy and military strategy of the Habsburgs in the 18th century entailed limiting the Fortress' role, thus hindering trade between the residents of Braşov and Walachia, and even preventing the Chatelaines from exercising their duties within the territory of Bran. Thus, on May 1, 1706, the customs centre of Bran was placed under the administration of a “tricesimator” (customs officer), a servant of the Austrian State's treasury, who, in addition to collecting custom duties, took over the regulation of the fields and passages between the Bucegi Mountains and Piatra Craiului from the Chatelaines, to prevent illegal commercial activity and illegal border-crossing. In order to reinforce the Bran Gorge, it seems that the Castle was repaired in 1723, according to an inscription on its inner wall. The Fortress continued to partially exert its military role, as mentioned in various chronicles. Charles II, King of Sweden, following defeats he suffered in Russia, passed through Bran with his army on his way to his country. In 1787, an Austrian military unit passed through Bran during their attack on the Turks in Câmpulung. Although the Bran gorge was still a trans-Carpathian connection, frequently used by combatants in various military conflicts, Bran Fortress underwent a gradual loss of its military significance. The main reasons for this were the changes in military tactics; the perfection of firearms; and the change in the political and military situation in South-Eastern Europe, which was due to the Imperialists' abandonment of the defence of the Carpathian line and their counter-offensive towards the South. As of the second half of the 18th century, the defence of the Carpathian gorges and the regulation of the commercial traffic across the border were diverted to the border guard regiments. Following these events, the old medieval Fortress was used as a residence, thus losing its role as the centre of the Bran gorge defence system. As of the middle of the 18th century, in order to limit the damages caused by proliferation of epidemics, the Austrian authorities formed a “sanitary cord.” A quarantine area was assigned to Bran. During the same period the Austrian authorities divided the Bran Domain into four “inspection circles” in order to better administrate the territories and to facilitate their control over taxation. In 1836, the border was moved from Bran to “Pajura” in Fundata. Alongside the border, some of the customs centre staff were also moved. According to a site plan dating back to 1870, the customs centre was maintained in the old customs building in Bran. In addition to the buildings of the contumacy and of the customs office, the document also attests to the existence of an inn, a chapel, the Curia building (where taxes were collected), and a “Chatelaine's garden” at the feet of Dealul Cetăţii. It also seems that a post-office operated here, servicing the mail between Braşov and Bran. During the Russian-Turkish-Romanian war (1877–1878), Austria-Hungary adopted a neutral façade, behind which it attempted to realize its plans for political and economic expansion in Eastern Europe. The last page of Bran Fortress' book of war was now written. In late April, 1878, unsure of Romania's intentions, the Austro-Hungarian authorities quickly started implementing a complex plan to defend Transylvania. Towards this end, the Austro-Hungarian army fortified the Bran Gorge. The most important measure in this respect was the adaptation of the medieval Bran Fortress to this system of defence as well. The Fortress was thus “temporarily” rented in order to be prepared for a “state of defence”. The Fortress was the possible target of enemy bombings from nearby heights. The main architectural change that was supposed to guarantee full protection was the replacement of the old roofs, which were causing the severe deterioration of the Fortress. Taking notice of what happened in the town of Braşov, the Austrian authorities were approached, requesting that they facilitate the restoration of the Fortress. The authorities finally agreed to bear the cost of the repairs, which were made between 1883 and 1886. On July 22, 1888 the Fortress was handed over, passing from the entrepreneurs who performed the restoration to the town of Braşov, through the mayor Franz von Brenerberg. Shortly after, however, the Fortress was occupied by the Braşov Forestry. From then on, forest rangers and foresters lived in the Fortress. Additionally, the verdures coming from Braşov briefly inhabited several of the official rooms, which were specially arranged for them. The Fortress was in the possession of the forestry until 1918.